Organ Mountains-Desert Peaks National Monument (New Mexico). Credit: Bob Wick (BLM), flickr. The thousands of acres of dramatic wildlands near Las Cruces, New Mexico, range from juniper-dotted volcanic mountains to rugged box canyons. 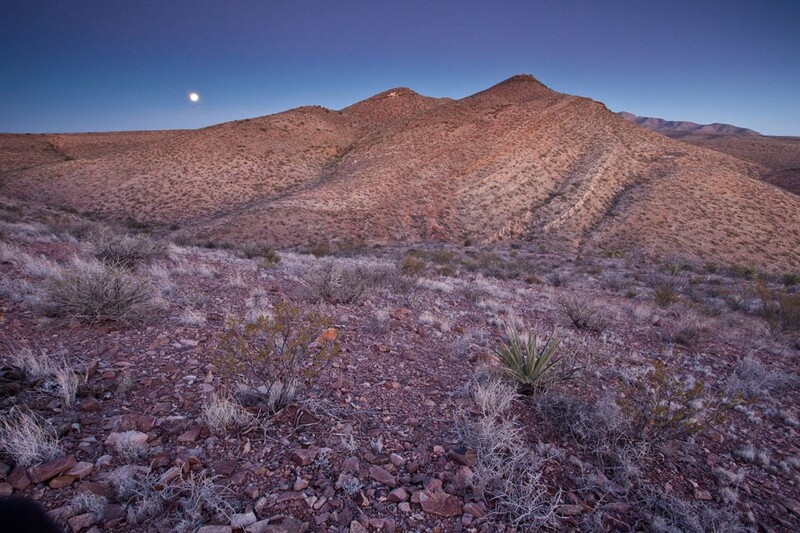 This landscape is home to mountain lions, mule deer, golden eagles and rare desert plants. It is prized by hunters, hikers, climbers and other outdoor enthusiasts. President Obama recognized the special value of the Organ Mountains-Desert Peaks region when he used his authority under the Antiquities Act to protect much of it as the Organ Mountains-Desert Peaks National Monument in 2014, a move supported by the overwhelming majority of county residents. Prehistoric Trackways National Monument, part of the proposed Robledo Mountains Wilderness. Credit: Bob Wick (BLM), flickr. But landscape, wildlife, cultural landmarks and pockets of solitude remain vulnerable. In fact, dangerous legislation has been proposed that would open up wilderness study areas to development, and threats like road construction and irresponsible off-road vehicle use loom unless we gain additional protection and designate some areas as federal wilderness. Two years after President Obama designated a national monument in the Organ Mountains, Sens. Tom Udall and Martin Heinrich have introduced legislation that would give a special level of protection to some of the wildest stretches of the landscape (Sens. 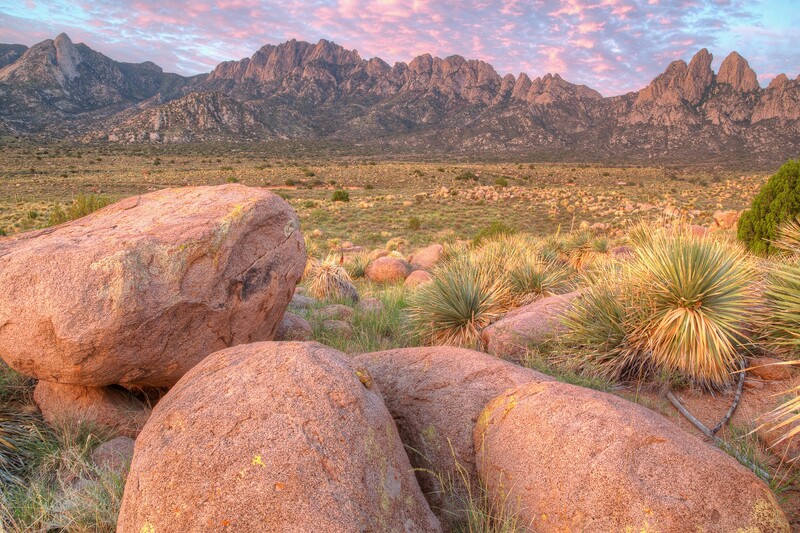 Udall and Heinrich as well as former Sen. Jeff Bingaman and other leaders have worked to protect wilderness in the Organ Mountains-Desert Peaks region for many years). 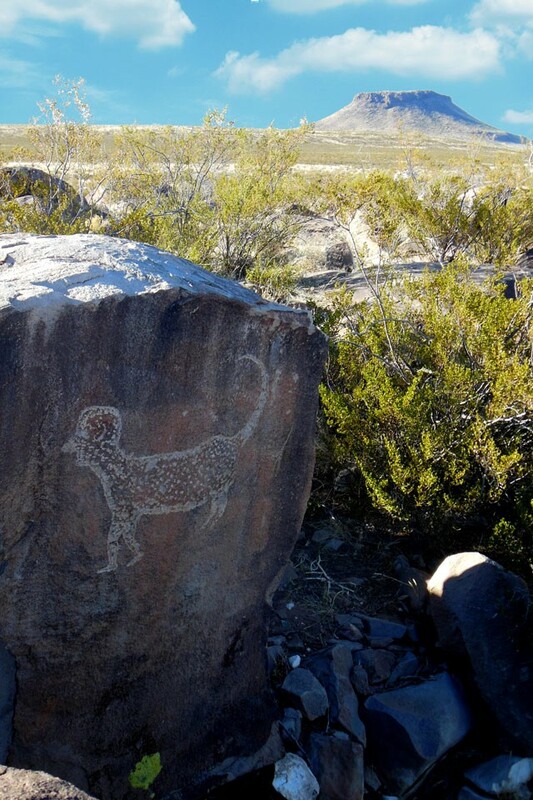 Petroglyphs and other cultural sites dot the Organ Mountains area. Massacre Peak (background) is part of the Sierra de las Uvas Mountains, potentially site of a new wilderness area. Credit: BLM, flickr. Eight new wilderness areas are proposed in the bill, totaling roughly 241,000 acres, which would officially protect some areas that have enjoyed provisional protection as “wilderness study areas” for decades. 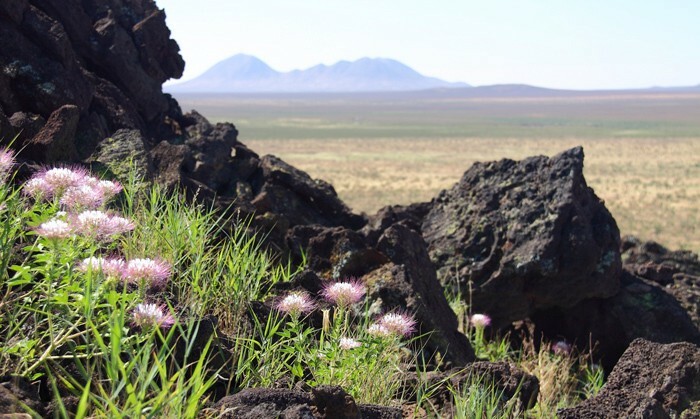 Areas that would be protected under the new legislation include cinder cone mountains, lava flows, ancient archaeological sites and the fossilized footprints of pre-dinosaur animals. While activities such as hunting, hiking, camping and horseback riding would still be allowed, these tracts of wilderness would enjoy the highest possible level of protection. President Obama’s protection of Organ Mountains has been good for the local economy. A recent report on the economic impact of President Obama’s monuments highlighted the Organ Mountains-Desert Peaks National Monument, and the designation of the monument has led to heightened visibility for the region. A survey conducted by the Las Cruces Green Chamber of Commerce one year after designation found that many businesses in the area field questions from customers about the monument, or even offer products or services specifically related to Organ Mountains-Desert Peaks. Notably, local communities recognize the critical role that wildland protection plays in their region’s well-being. A 2016 survey of Doña Ana County voters found that 78 percent support passing a law to designate wilderness inside Organ Mountains-Desert Peaks National Monument. Respondents identified reasons including improving the quality of wildlife habitats, preserving land for future generations and adding tourism and economic benefits to the area. The landscape is deserving, and local communities are enthusiastic. We will work with leaders both locally and nationally in hopes that the wildest stretches of the Organ Mountains get the protection they merit. The proposed Aden Lava Flow Wilderness (foreground) is a geological wonder featuring basalt flows and volcanic craters. Credit: BLM, flickr.